Church leaders in the country have been urged to go back to the main commission of the church which is effective and fruitful evangelism. 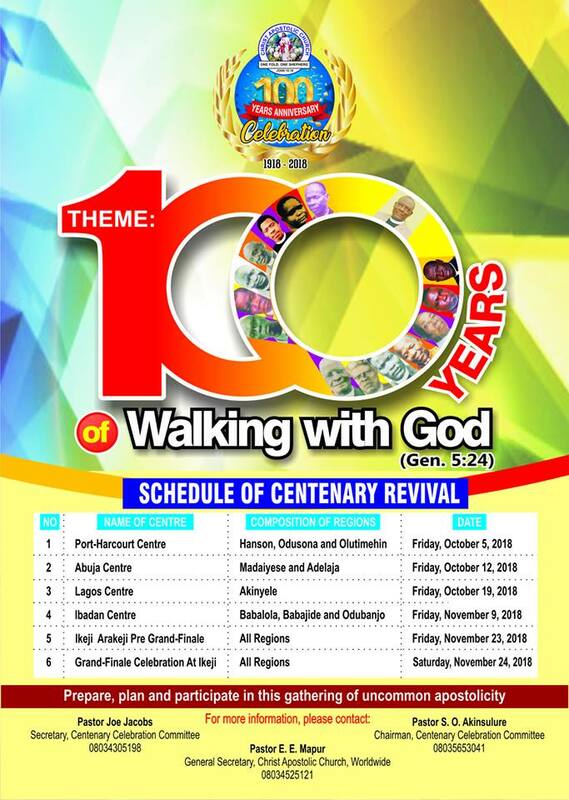 The Superintendent of Christ Apostolic Church, Calvary District Coordinating Council (DCC), Delta State, Pastor M.K. Ehinmole made this call on Thursday December 6, 2018 while ministering on the topic “The Fire of Love: Then and Now” at the 66th annual conference of CAC Men Association which was held at Babalola International Miracle Camp, Ikeji-Arakeji, Osun state. 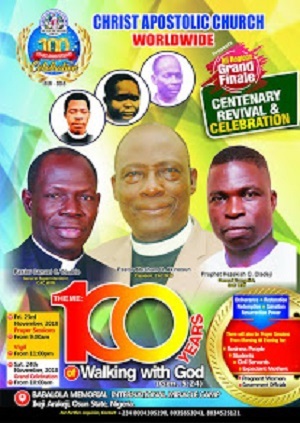 Pastor Ehinmole further stated that the greatest commission is the greatest omission of today’s church, adding that there is discrimination, tribalism and nepotism in today’s church compare to what was obtainable during the days of the forefathers of the church where there was selfless sacrificial love. He said true love for God compelled forefathers of the church to obey not just part of the Bible, but the whole, stating that the commandment of Christ governed their actions, taste, relationship, profession, life style, conversation and so on. “The love of the fathers of old was practical and expressive. It was a deliberate of the will. They did not underrate people or look down on them because they did not know who they were. They gave warm reception to strangers just like Abraham and Lot of old. They remembered the jobless, the poor, the sick and the under-priviledged. Many love for what they stand to gain and not what they are in to give. Their love was real and not plastic or fake,” the Cleric explained.